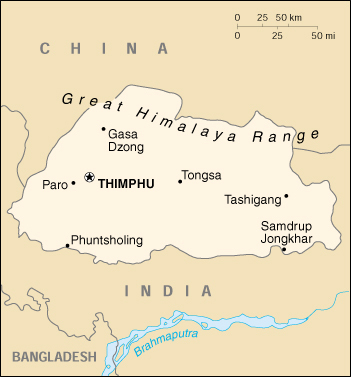 Bhutan is a small landlocked country found in Central Asia. Its terrain is mostly mountainous, and its climate ranges from tropical to moderate. It shares a border with India and China.